Tablets started becoming extremely affordable with the launch of the Kindle Fire, but now that we have the Galaxy Tab 2 7.0 and the Nexus 7 running on full Android, we can officially announce the era of cheap 7-inch tablets, and while they won’t replace paper books and magazines, people are more and more likely to read on a screen rather than on print. “More than 50 percent of media tablet owners prefer to read news, magazines and books on screen, rather than on paper,” Gartner analyst Carolina Milanesi summarized the results of a survey. Printed books, of course, aren’t disappearing any day soon, but they’re rather slowly phased off. Have your personal book and magazine habits changed after you got a tablet? Let us know in the comments below. Egham, UK., July 3, 2012— People have quickly begun using media tablets for daily personal activities, according to a new survey by Gartner, Inc. The survey found that the main activities moving from PCs to media tablets are checking email (81 percent of respondents), reading the news (69 percent), checking the weather forecast (63 percent), social networking (62 percent) and gaming (60 percent). Gartner conducted the study at the end of 2011 in the U.S., U.K. and Australia to gain a better understanding of how early adopters of media tablets were using personal connected devices. The survey was run as an online seven-day diary in which respondents* recorded what they did with their three most used devices (media tablets, mobile phones and PCs [desk-based or mobile]) on a daily basis. At present, the shift from paper to screen-based consumption is not yet a straight substitution of one medium for another. “We do not believe that the ‘paperless home’ will prevail, but it is clear that the ‘less-paper model’ is the new reality,” said Meike Escherich, principal research analyst at Gartner. “The ongoing convergence of previously distinct devices seems to be turning the market for consumer devices from hardware-centric to usage-centric,” said Ms. Escherich. “Other than their tablets, most respondents also owned PCs, TVs and mobile phones. The respondents, early adopters of media tablets, said they use their multiple devices interchangeably, rather than substituting one device for another. They seek to use whichever device is at hand — or the most convenient to use at a particular time and for a specific task. However, respondents use their PCs (desk-based or mobile) 20 percent less at weekends. Media tablets play a more dominant role in the home than mobile phones or PCs, with the highest usage taking place in the living room (87 percent), the bedroom (65 percent) and the kitchen (47 percent). “Weekday evenings are the most popular time to use media tablets, and this usage flattens out during the weekend as people tend to be away from home,” said Ms. Milanesi. The survey confirmed that the main reason for buying a media tablet is the form factor. More specifically, respondents purchase a media tablet, in preference to a PC, for its convenience, small size and light weight. 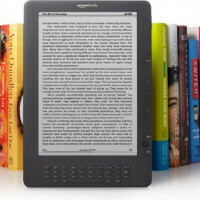 The survey also found that 45 percent of respondents do not share their tablet at all. This confirms that a media tablet is almost as personal as a mobile phone in terms of usage and consumer attitude. The survey showed a trend for men to purchase their own media tablets and for women to receive them as gifts. Mobile phones play a role both inside and outside the home. Within the home, users recorded the most activities on their phones when in their living room (78 percent). Sixty-five percent used them outside the home or while in transit, and 66 per cent used them at work. This aligns with Gartner’s scenario for screen usage in the living rooms of today and tomorrow: even though the TV remains the largest screen in the living room, it shares users’ attention with other devices with smaller screens, often used simultaneously, as people access complementary or distinctively different services. Across all activities conducted on the Internet, checking email (74 percent) and social networking (57 percent) are the most common activities on mobile phones. Gaming is in fourth place (42 percent), and appears more popular than checking the news (40 percent) and listening to music (40 percent). Watching live TV remains a very limited activity for mobile phone users (5 percent), but on-demand content has a slightly broader reach (15 percent). The survey also found that both male and female adopters show similar attitudes toward the use of mobile devices. Both groups use the Internet more at home than elsewhere, and they use it for research, shopping, learning and socialising. However, the women in the study connect significantly less than the men when outside the home, and the difference in location might be partly linked to gender-specific usage patterns. While men seem to prefer to gather information, women use their devices more for personalised entertainment activities like gaming and socialising via Facebook or Twitter.